Hi, I want to try Sweet Home 3D, now I installed the 6.1.2 installer and the installation succeed. But after I launch, I found the menu font look weird. 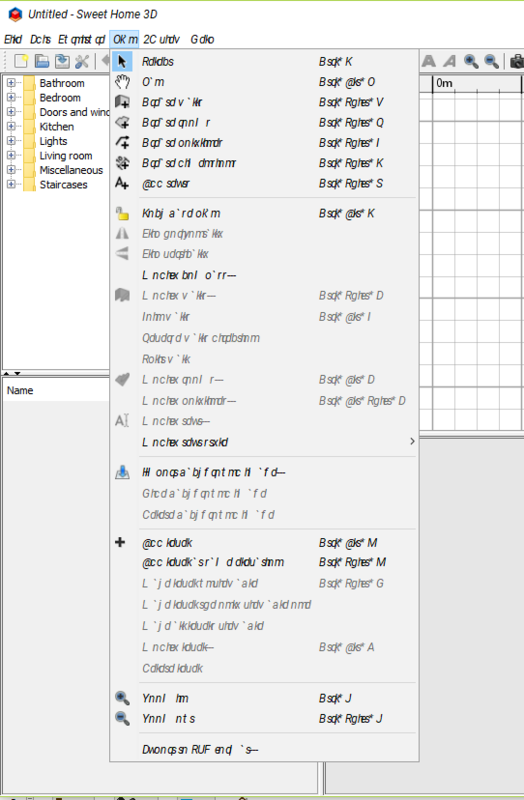 I had tried changes the font, and language from the option, but no solution. Kindly your help for my problem. It’s not only the font that looks weird, but the whole text! How the items are displayed when you click on a menu? 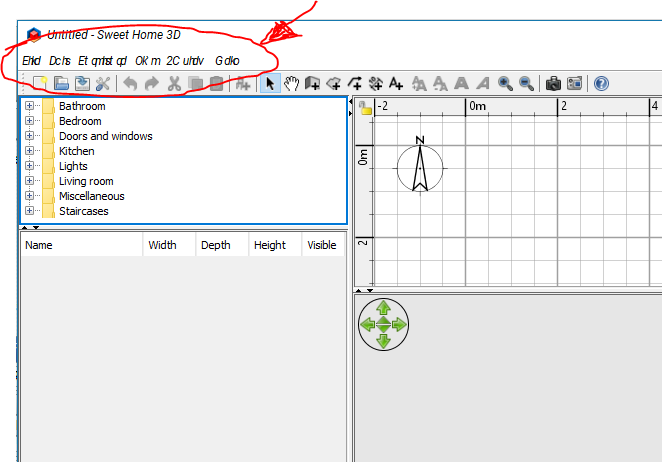 How did you install Sweet Home 3D? I install the desktop version from sourceforge, had uninstalled then reinstalled, tried portable version as well, but the problem persists. I use Win10 Pro, and if this is OS problem, why only this app has the problem? Please help. I just installed the newer version this morning and mine looks the same!! Now I can't use it! I uninstalled it and tried to install an older version; no dice! HELP! I'm going to uninstall the java and see if it's the java version??? did you fixed the issue with uninstalled the java?